The ninth edition of DOKU.ARTS with a focus on architecture and construction is to take place from 9-27 September 2015 in the Zeughauskino of the Deutsches Historisches Museum. The programme shows how the contemporary world of international documentary film regards building and architecture, as well as how construction processes and citizen participation are reflected in the medium of film. 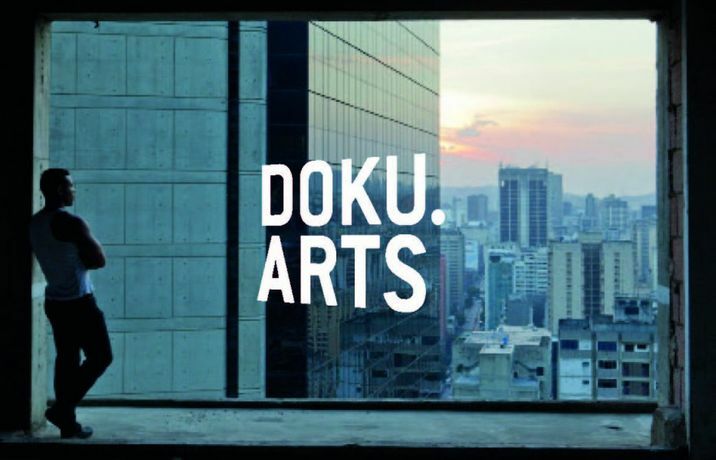 In January 2015, the third Brazilian edition of Doku.Arts took place in the Instituto Moreira Salles in Rio de Janeiro. In the 21st century, the image of our cities has become increasingly determined by what has been referred to as “investor architecture”. Only occasionally do new and iconic buildings emerge – often museums, concert halls or libraries designed by star architects. DOKU.ARTS – Architectures in Motion offers a different perspective on the nature and future of architecture. Contemporary documentary filmmakers question the iconic nature of the architecture of our time, illuminate the unbridled growth of cities, and document the impact of architecture on people. The architectural focus comprises 15 new documentaries, including outstanding long-term monitoring of buildings by SANAA, Diller Scofidio + Renfro, Daniel Libeskind, and Peter Zumthor. Moreover, DOKU.ARTS shows new documentary portraits and essay films about Sidi Larbi Cherkaoui, Phyllis Lambert, Astrid Lindgren, W.G. Sebald and Nicolas Roeg. This year’s special event series includes an international symposium and a Sebald-evening with a lecture by Thomas Elsaesser.